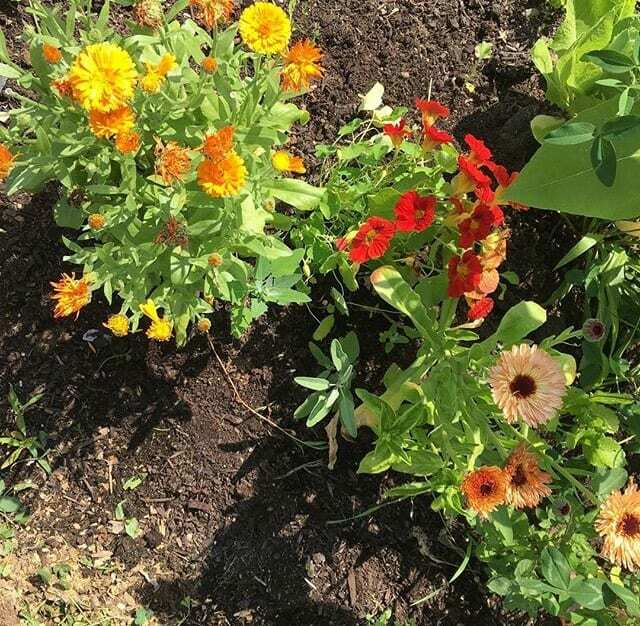 I grow Calendula flowers in our home garden every summer. 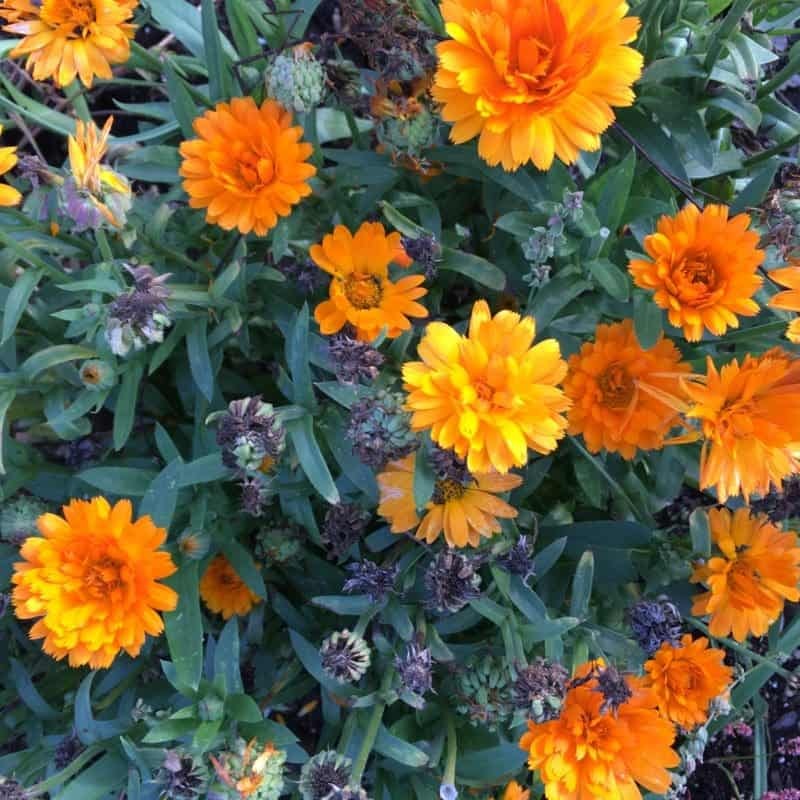 Calendula Officinalis flowers (also called Pot Marigold) is a cheerful and useful plant. 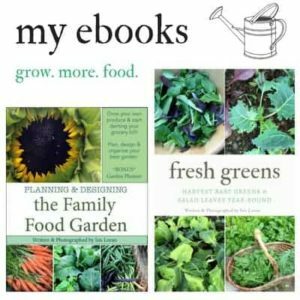 It’s super easy to grow (I’d say fool proof) and it’s great for companion planting. 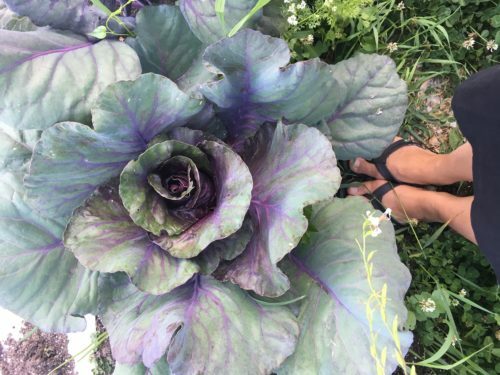 The petals are edible and often used with as cake decorations or salads. 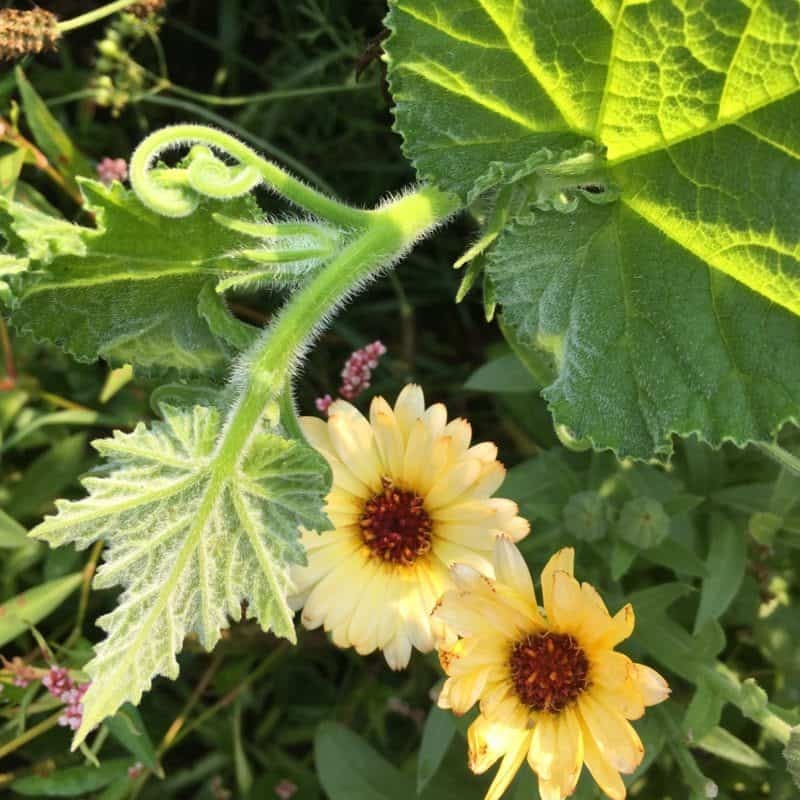 As a herb, it’s used for making a healing cream or salve. 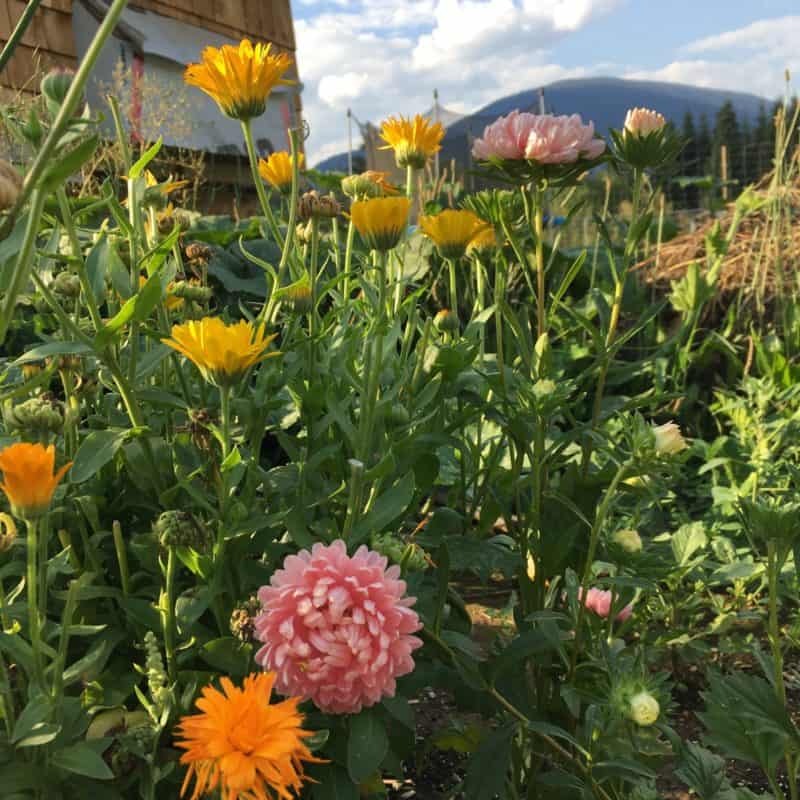 We’ve been growing calendula flowers to infuse calendula oil and make calendula cream for years. The more your pick, them more flowers you get! 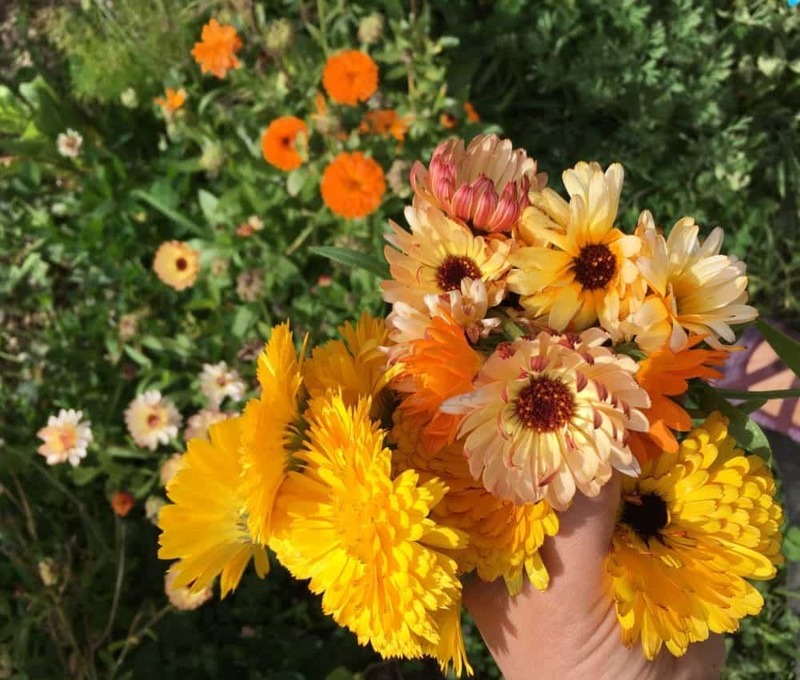 Calendula colors range from yellows to oranges, to bronze salmon pink. I often grow ‘Pacific Beauty’ Mix. There’s a beautiful ‘Snow Princess’ variety that I’ve yet to try, which is a creamy white. The flowers come in both single or double petals. Calendula seeds are truly epic looking. They are spiny curls that look almost prehistoric (you’ll see them below with the seed saving). 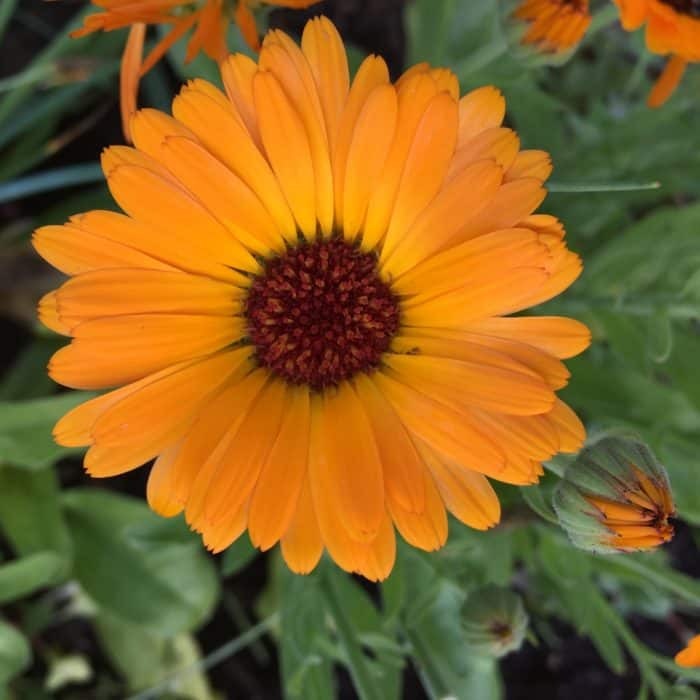 They are very easy to grow directly sown outside. You could start seedlings indoors, but this flower is better sown outside. This is not a picky flower, and will truly grow almost anywhere. I usually sow ours 1-2 weeks before last spring frost, or anytime the month after the spring frost. Well drained soil is preferred, and you don’t need to fertilize. They can be grown in sun or partial shade. 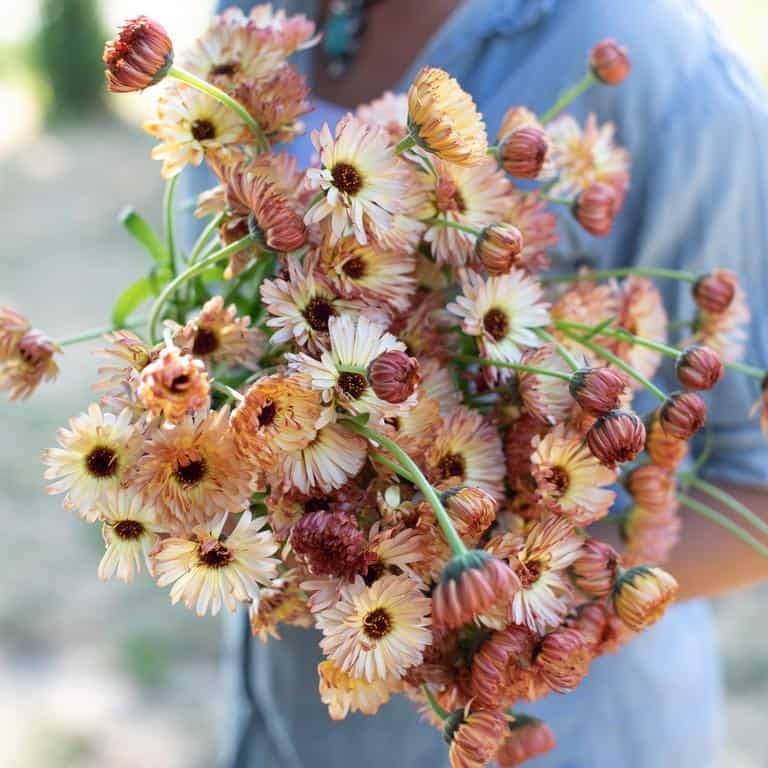 You can ‘dead head’ flowers after they’ve bloomed to prevent them from going to seed. 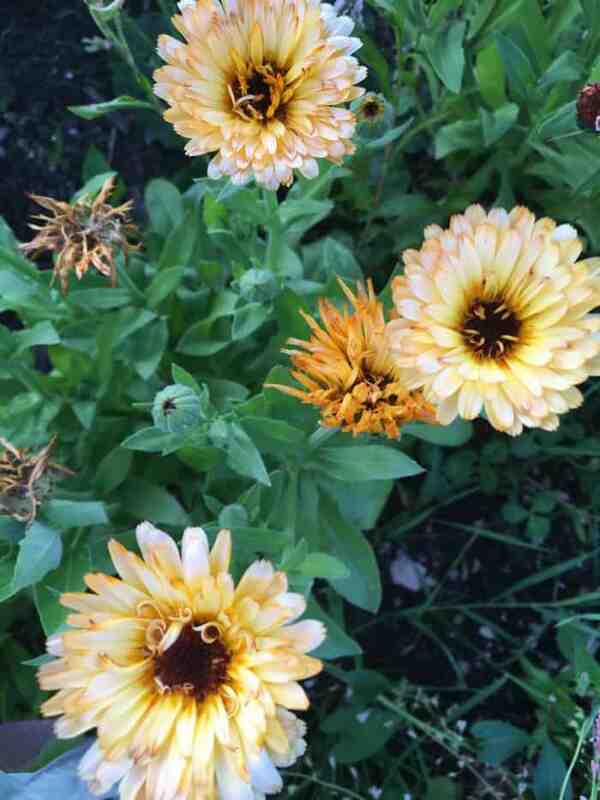 I’ve found that calendula produces masses of flowers for months before trying too hard to go seed. 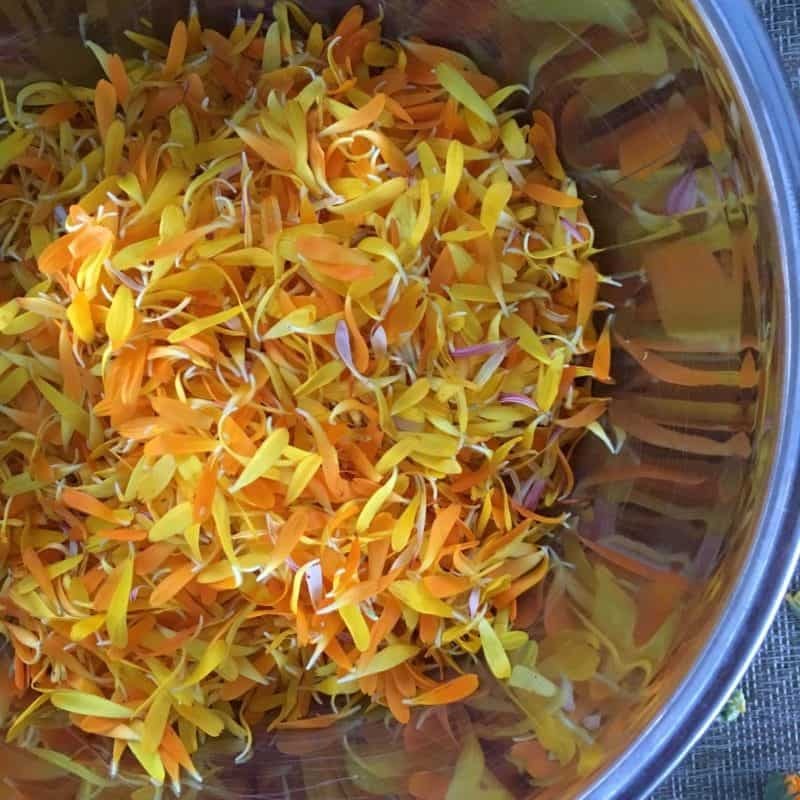 We usually remove many flowers throughout the summer to dry the petals and make calendula oil. 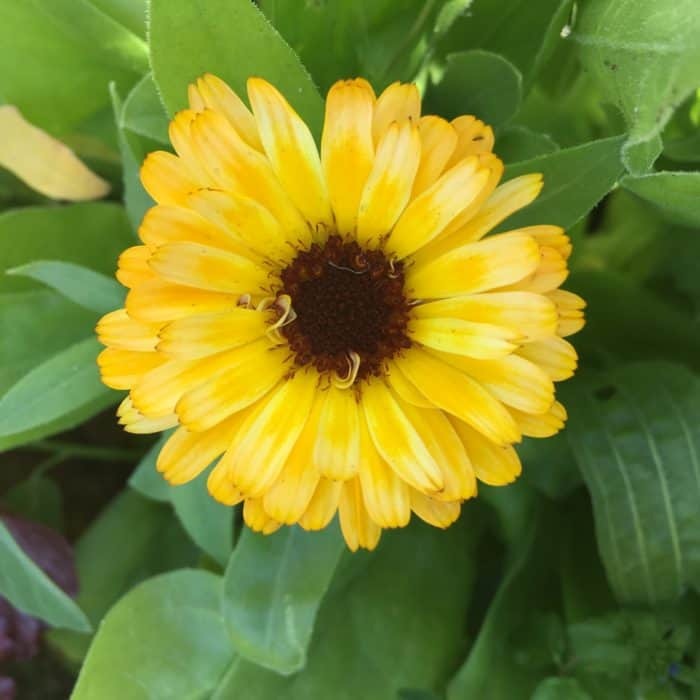 Plant calendula close to your fruiting crops as bees will visit more often. 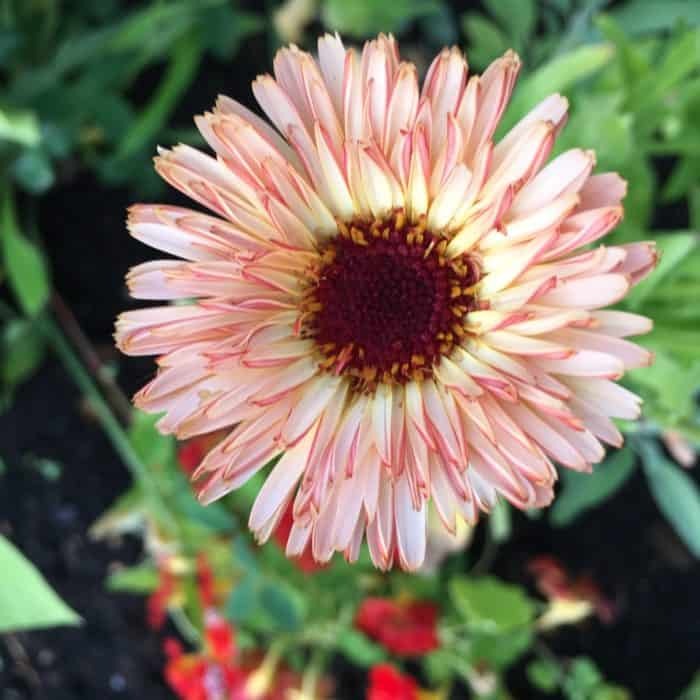 You can plant them with other flowers for added beauty. 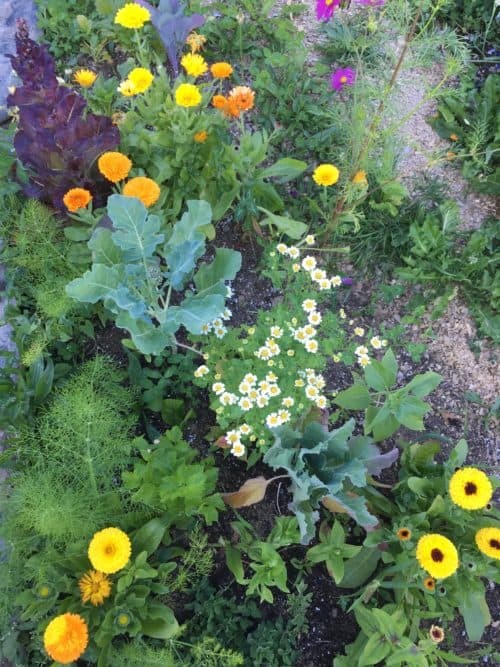 Below you can see calendula and asters flowering. 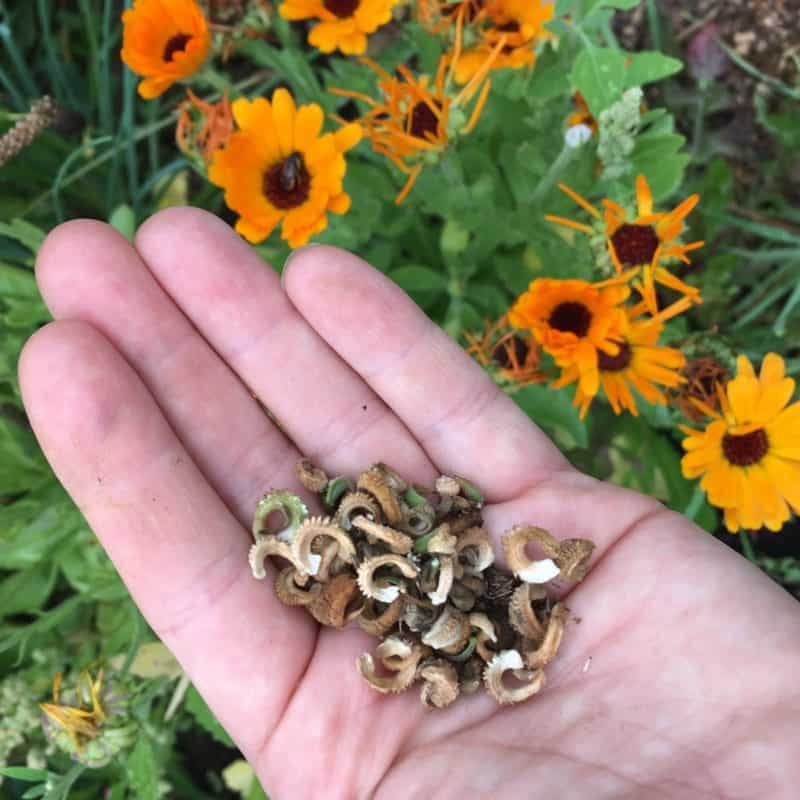 Towards the end of summer your calendula will start to produce seeds. I leave some to go to seed, and others I keep dead-heading for more blooms. The plants will start to dry out, and it’s very important that this process takes place. 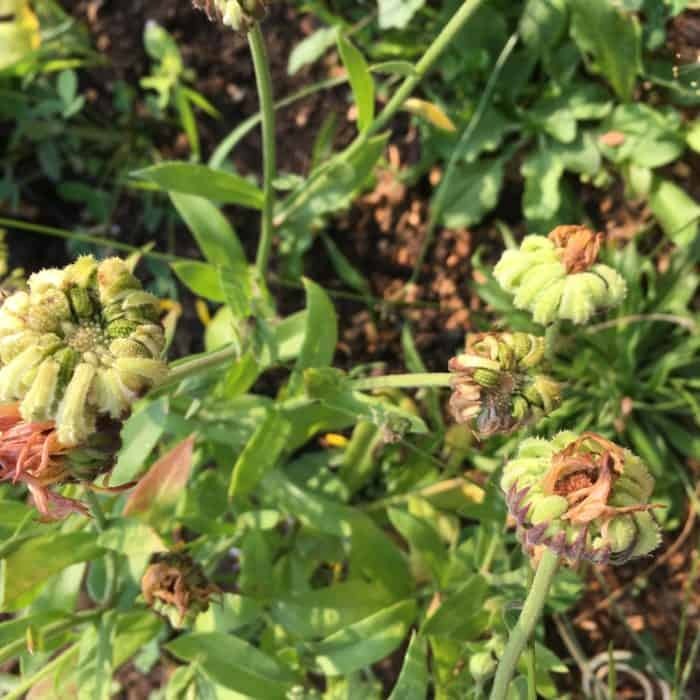 Otherwise the seeds are too green and won’t sprout the following season. Below you can see the plants starting to create seeds. These are still too green. The seeds will become brown and completely dry. 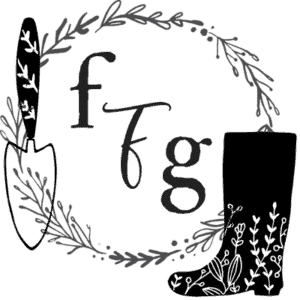 This is the time to harvest, and store in a cool dry place. 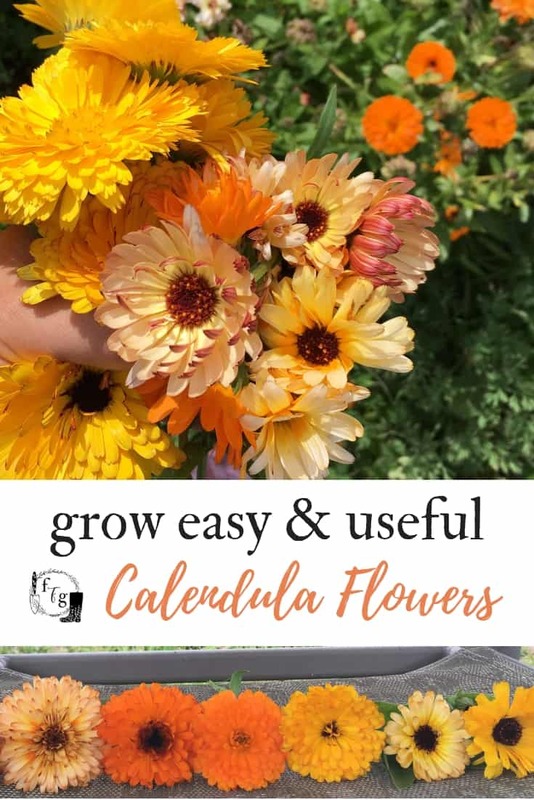 Do you grow calendula flowers?